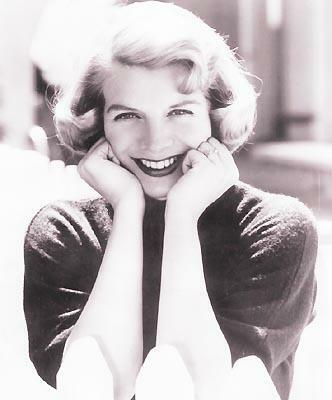 Rosemary Clooney in a 1950s publicity photo. 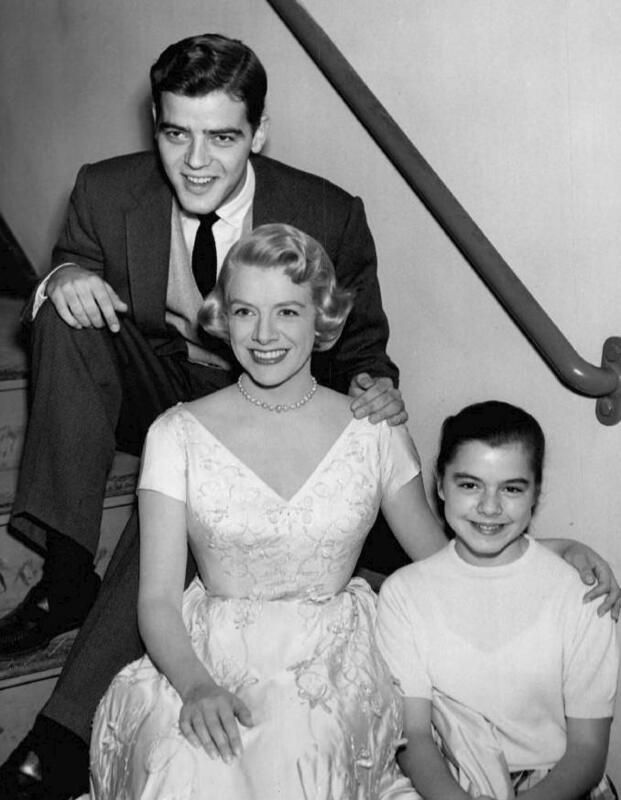 Rosemary Clooney with brother Nick and sister Gail in 1957. Clooney started her 57-year show business career in 1945 singing with younger sister Betty on WLW-AM. Later that year, the Clooney sisters toured with Tony Pastor's orchestra. In 1951, as a solo act, she recorded "Come On-A My House," the first of her five No. 1 hit records that decade. She died June 29, 2002, from lung cancer at 74. Four months before her death, Clooney was presented a Lifetime Achievement Award at the 2002 Grammy Awards. Clooney's "White Christmas" — the 1954 film with Bing Crosby, Danny Kaye and Cincinnati native Vera-Ellen — is a holiday TV staple. She also starred in "Here Come the Girls" (1953) with Bob Hope, who would become a lifelong friend; "Red Garters" (1954) with Buddy Ebsen and Gene Barry; and "Deep In My Heart" (1954) with Jose Ferrer, whom she married in 1953. 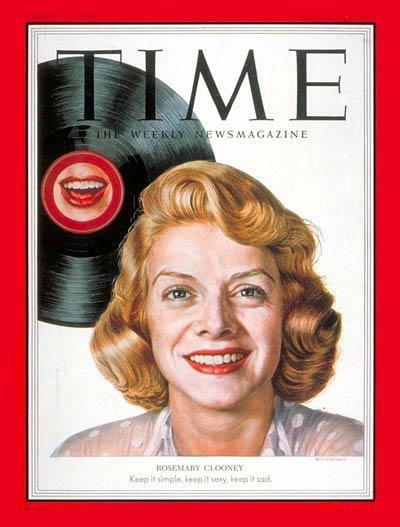 She had five children in five years with Ferrer while continuing to perform, record albums and host a national TV variety series, the "Lux Show Starring Rosemary Clooney" in 1957-58. Here's a list of her credits at the Internet Movie Database. 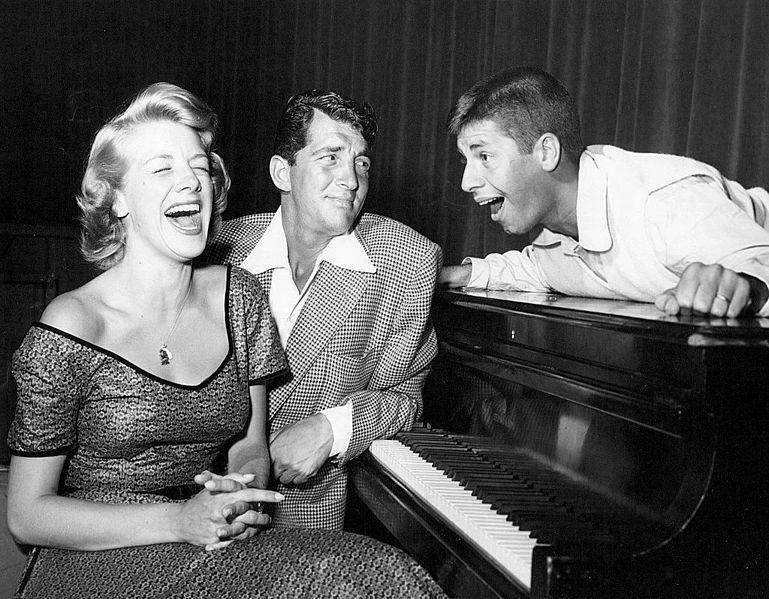 Rosemary Clooney with Dean Martin and Jerry Lewis on their "Colgate Comedy Hour" in 1952. Although she lived in Beverly Hills, she never forgot her roots, and vice versa. Maysville honored Ms. Clooney with a parade for her 1953 movie debut, "The Girls are Singing" with Anna Maria Alberghetti, at the Russell Theatre in downtown Maysville. She was featured on the cover of Time magazine a month later, on Feb. 23, 1953. Time magazine cover from Feb. 23, 1953. In the 1990s, she would return to attend – and sometimes perform at – Maysville's annual Rosemary Clooney Music Festival. She came back in 1997 to wed actor-dancer Dante DiPaolo at St. Patrick's Catholic Church in Maysville, where she was baptized and made her first communion. 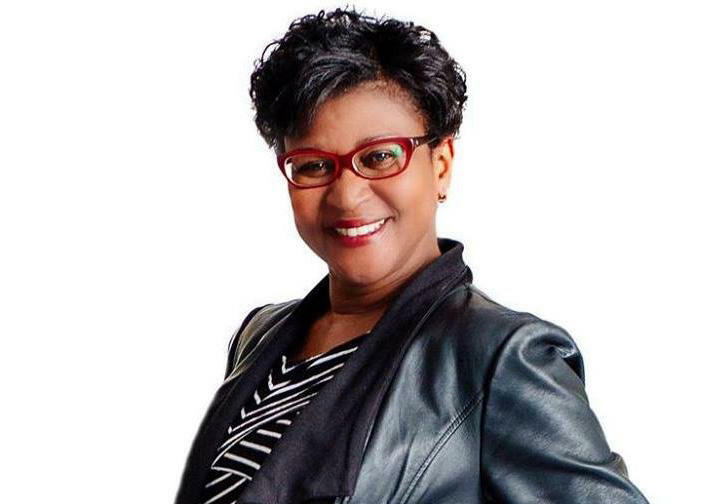 Her funeral was there in July 2002, before burial in St. Patrick Cemetery. The day after she died, I went to Maysville and wrote a story about the city's reaction, "Maysville Mourns Its Rosie." At the bottom of that 2002 Enquirer story are links to a photo gallery and other stories related to her career and death. 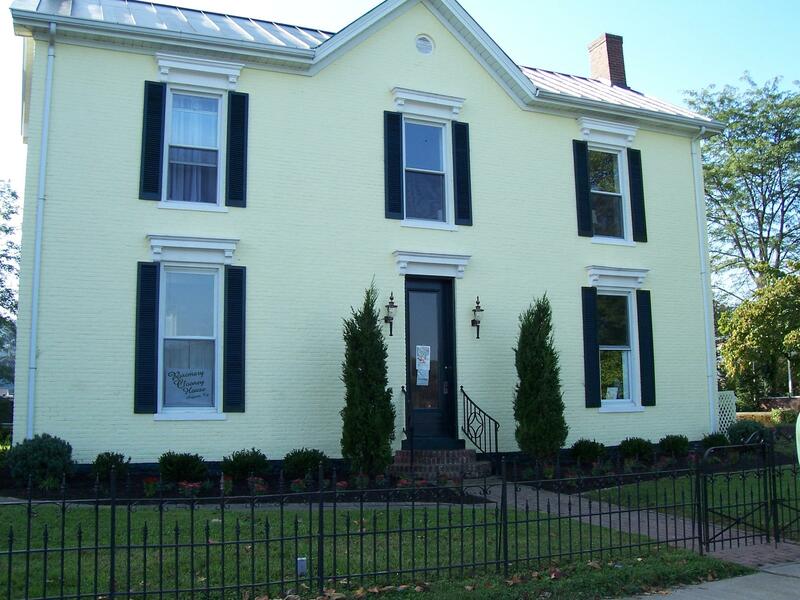 Clooney owned a home in nearby Augusta, KY, a yellow two-story brick home on the Ohio River which was her retreat from Hollywood and just a few blocks from her younger brother, Nick Clooney. Since 2005, the Rosemary Clooney House has been open to the public to see memorabilia from her career, from Bob Hope and from her famous nephew George Clooney. The website also has an excellent timeline of her life. To see a collection of 400 photos from her career, go to the Rosemary Clooney House Facebook page.